Provide your website Account Customers with centralised purchasing control by enabling the Shopping Cart Checkout Approvals add-on on your Straightsell website. Straightsell Shopping Cart Checkout Approvals functionality ensures that only designated administrator users can complete the purchase process by processing shopping carts submitted by one or more raisers (standard users). A standard user (raiser) creates, saves and submits a shopping cart for approval by an administrator user (approver). The administrator user will be notified by email when a standard user has submitted a shopping cart for approval and the cart will be available for the administrator user to process (checkout). 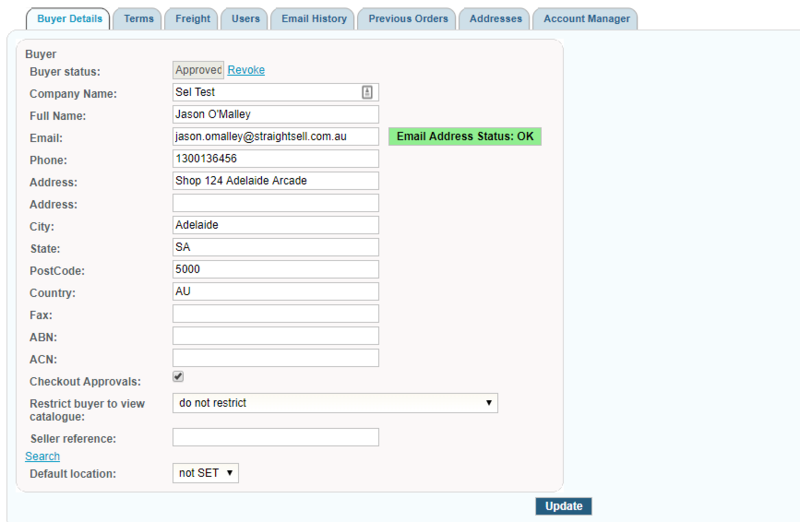 The administrator user can log into the website to access all shopping cart checkout requests. 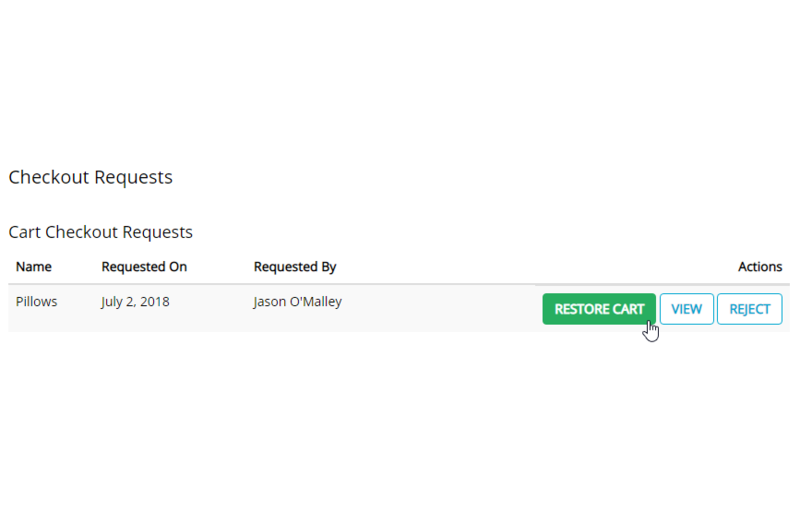 Shopping cart checkout requests can be viewed, rejected or processed. In the case of the later the shopping cart is restored, and then checked out as is or if needed altered during the process via the addition or removal of products and modification of quantities. All completed or rejected shopping carts will notify the standard user (raiser). 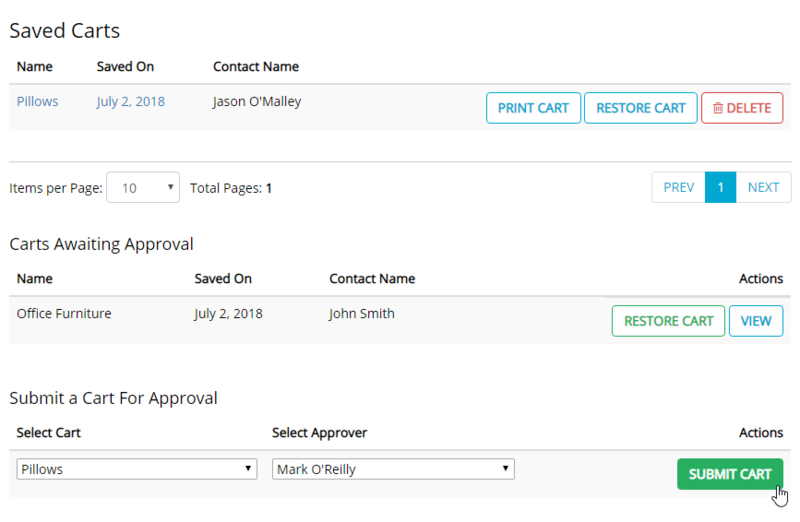 The Shopping Cart Checkout Approvals functionality can be enabled on a customer by customer basis by simply ticking a checkbox accessable via the customer record in the Straightsell CMS. This means that customers who require an approval process, and customers who don't can both use your Straightsell website to place orders.